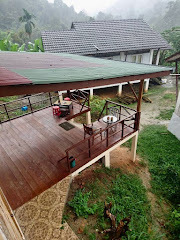 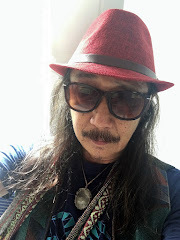 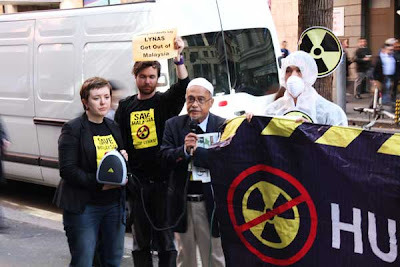 MAGICK RIVER: Save Malaysia arrives at Lynas's doorstep! 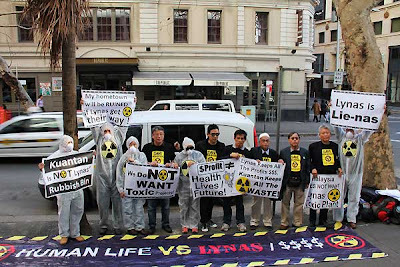 Feisty Dozen stage protest at Lynas head office in Sydney, 5 July 2011. 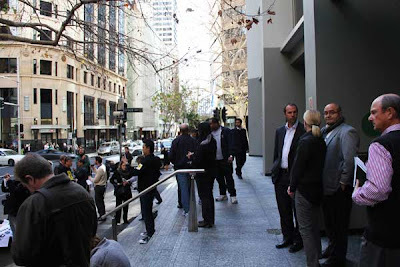 56 Pitt Street, Sydney: Lynas head office located here. 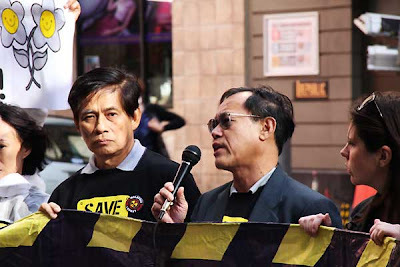 Expert opinion against the rare earth processing plant. 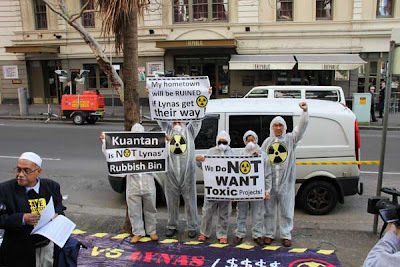 Tuan Haji Ismail came all the way from Kuantan to stop Lynas. 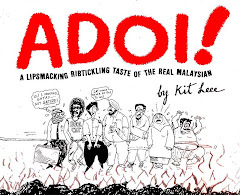 Malaysians resident in Sydney helped coordinate the event. 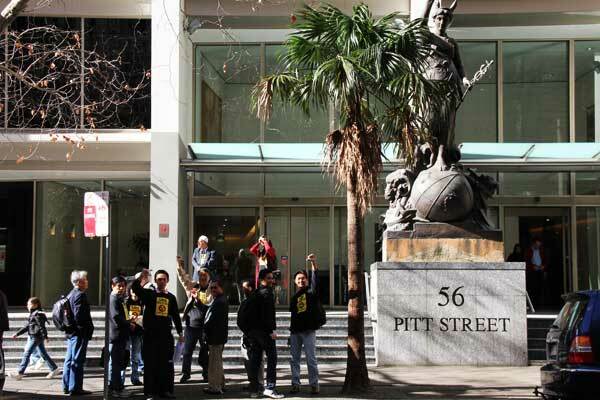 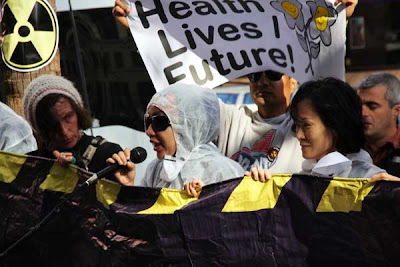 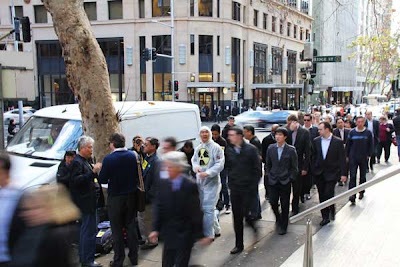 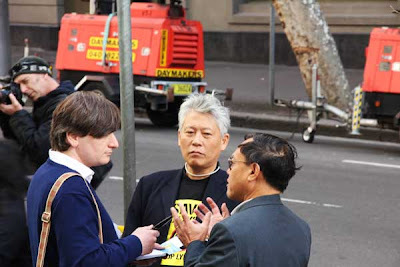 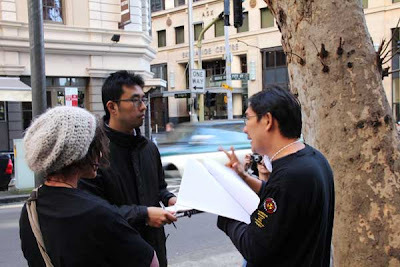 On Tuesday, 5 July 2011 the Save Malaysia Committee, with the help of an Australian NGO and Malaysians residing in Sydney, demonstrated at the Lynas head office at 56 Pitt Street. 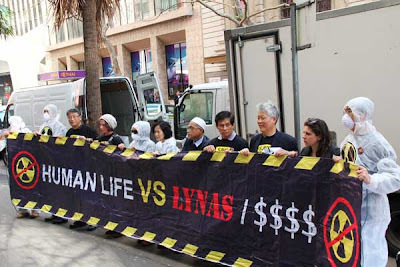 Staged during the lunch hour to attract maximum attention, six representatives of the group then attended an hour-long meeting with Lynas CEO, Nicholas Curtis. On Wednesday and Thursday (6 & 7 July), Save Malaysia will be meeting Australian MPs and senators in Canberra. A BIG ROUND OF APPLAUSE FOR ALL WHO MADE THIS EVENT POSSIBLE! I like the advocacy that they're fighting for. 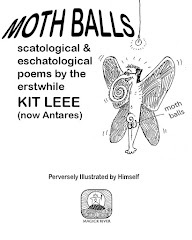 I should definitely support them.